OdorCap 5115 is a broad-based biological formulation for controlling a wide range of wastewater odors. 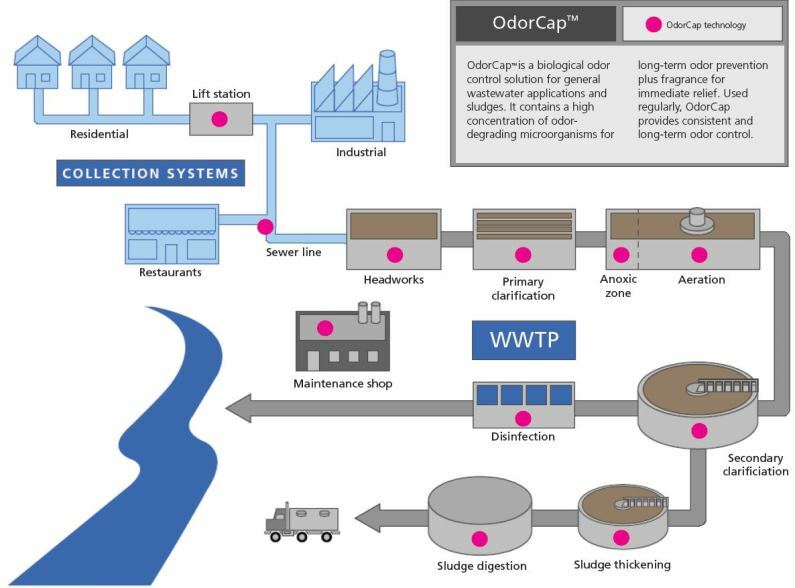 OdorCap 5115 is a biological odor control solution for general wastewater applications and sludges. It contains a high concentration of odor-degrading microorganisms for long-term odor prevention plus fragrance for immediate relief. Used regularly, OdorCap 5115 provides consistent and long-term odor control.